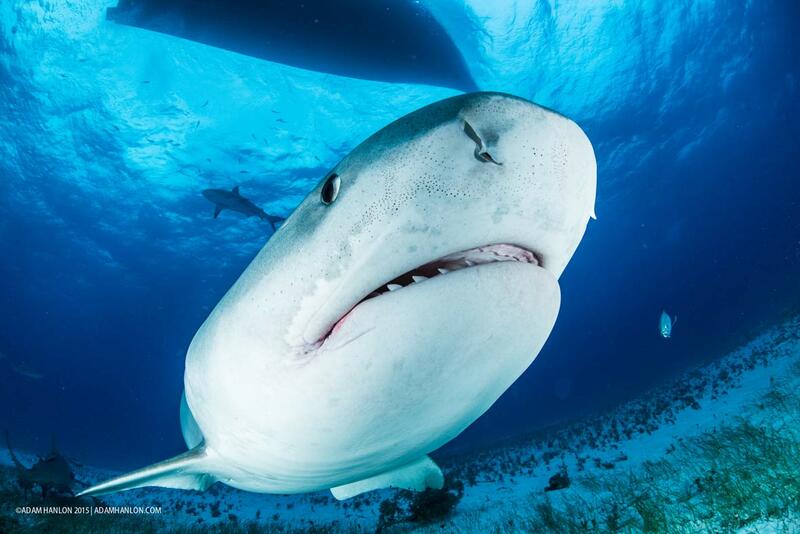 Grand Bahama's Tiger Beach is considered one of the best locations in the world for diving with tiger sharks. 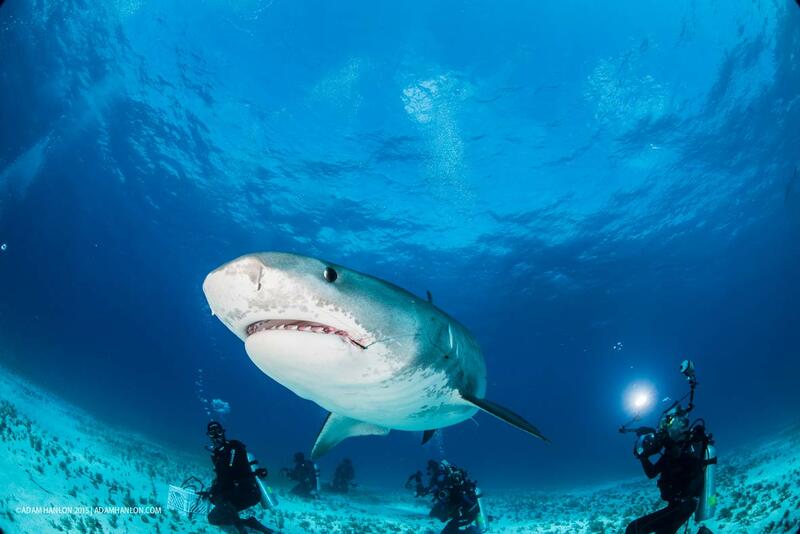 Rich, crystal clear waters and a well-protected marine reserve set the perfect scene to view the sharks (Galeocerdo cuvier) in their natural habitat. 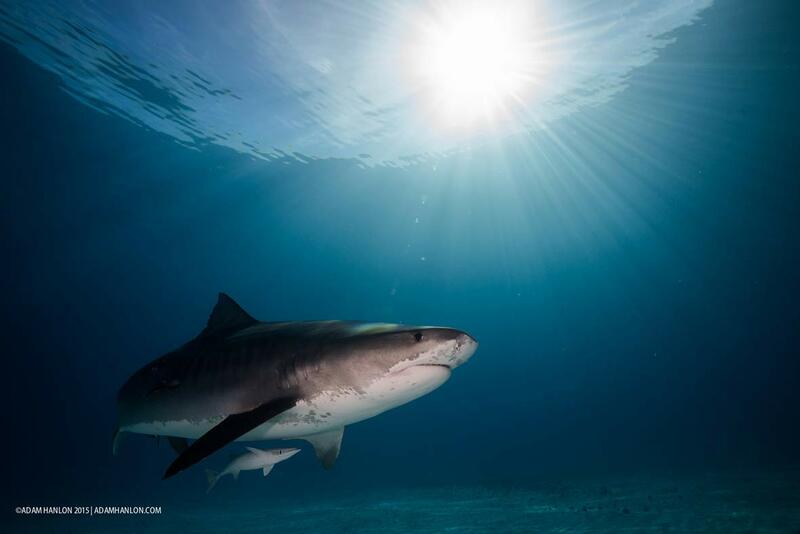 Back in January, WetPixel editor and underwater photographer Adam Hanlon dove in to experience the magic of Tiger Beach for himself – and his photos are nothing short of epic. 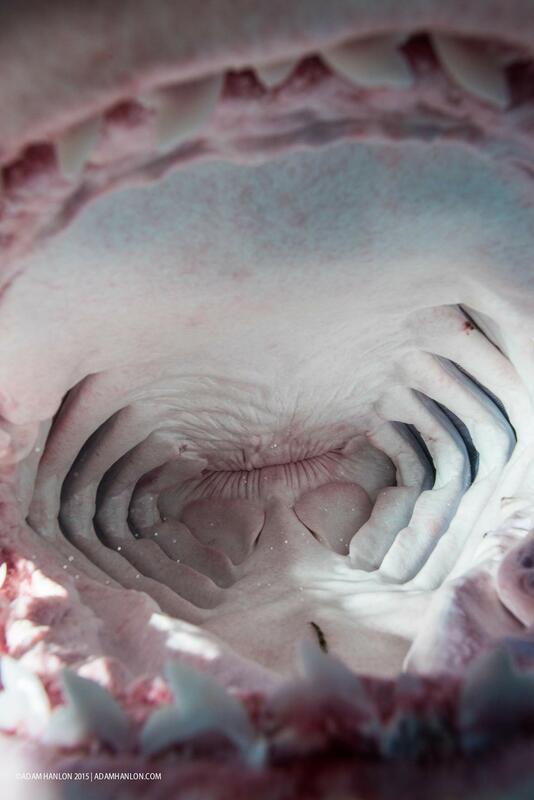 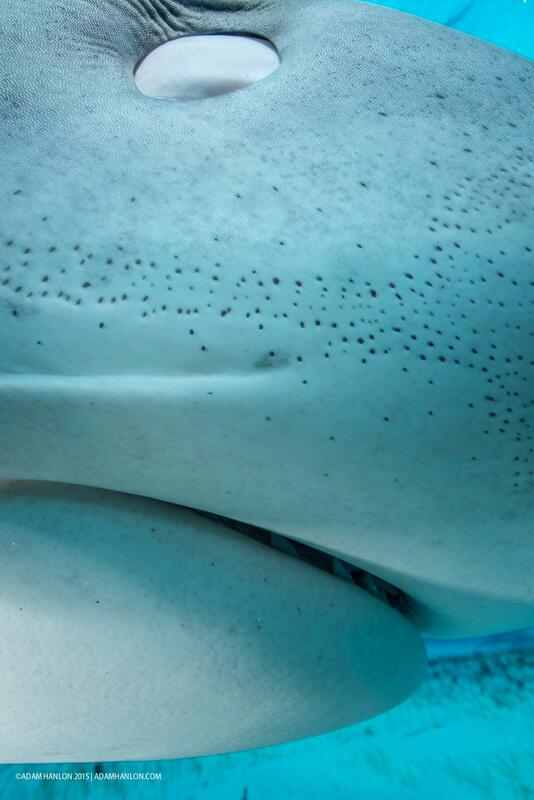 "Sharks' noses are full of electro-receptors, some of which undoubtedly picked up the electronics in my camera," says Hanlon, who was able to shoot something on the dive that is rarely seen: the inside of a shark's mouth. 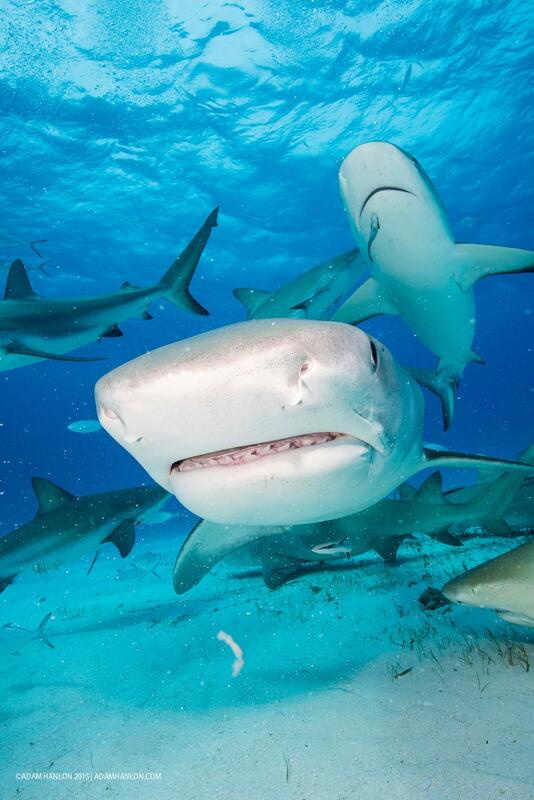 "It is important to recognise that these sharks were not trying to bite me, or trying to feed," he says. 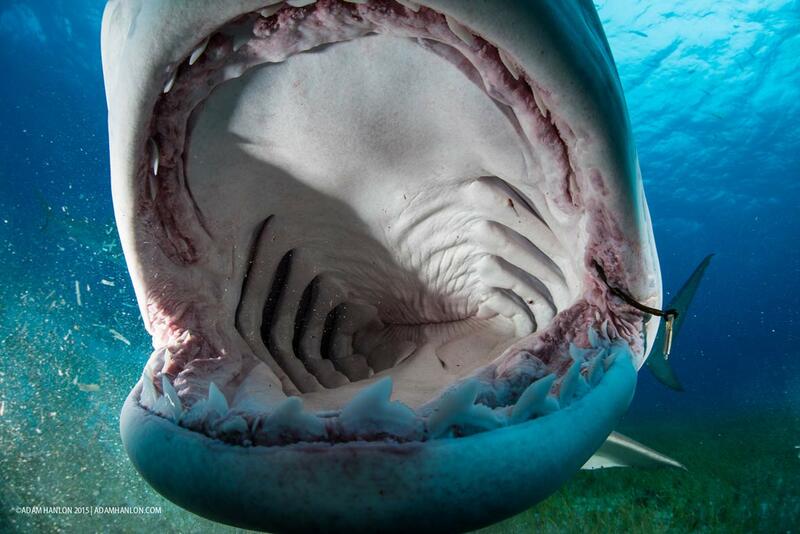 "This [biting behaviour] was solely an attempt to understand the alien objects in their environment, and it was done very gently, with no aggression or stress (to the shark or me!). 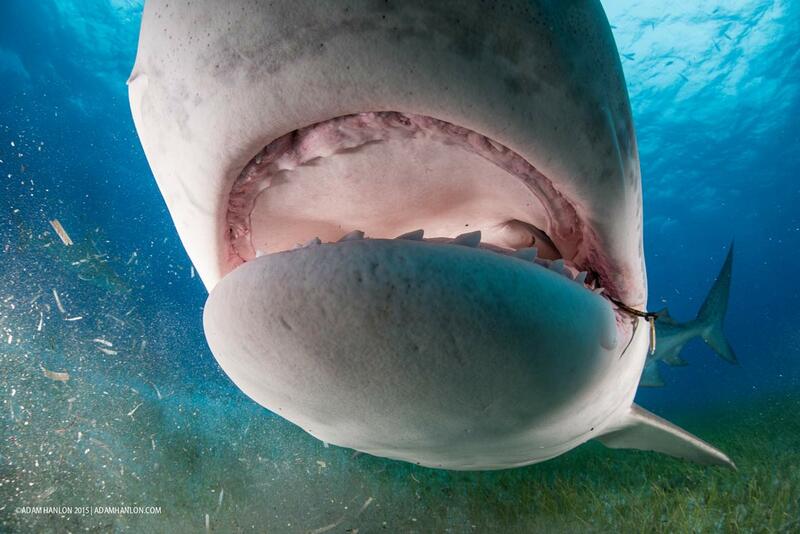 This is due in part to the skill of our expedition leaders at Epic Diving, but mostly because sharks simply do not view us as prey."